Nervous System Training Vs. Body Part Training! The nervous system and training program of a professional athlete are not the same as the novice or beginner. Get an idea about what nervous system training is and how it differs from body part training. It is important to understand the two different aspects of training that are involved when you are trying to build bigger muscles. The two aspects are your nervous system versus your body part training. Both need to be incorporated in a holistic routine in order to maximize growth. In this article, we are going to demonstrate briefly some of the things that you need to consider. The first thing to consider when examining your routine is the training effect on the nervous system. With the beginning trainee, their nervous systems capacity to handle intense exercise is quite limited. Therefore, it makes sense that the individual should be working on their nervous system capacity as opposed to body part training. Unfortunately, most athletes or beginning trainees make the mistake of trying to copy a cookie cutter routine out of the magazines or a routine of a professional bodybuilder. The problem with following a pro's routine is that the routine generally far exceeds the capacity of the individual's ability to train. The individual quickly spirals into overtraining, gets discouraged, and sometimes quits training altogether. Not an inspiring success story, that is for sure. 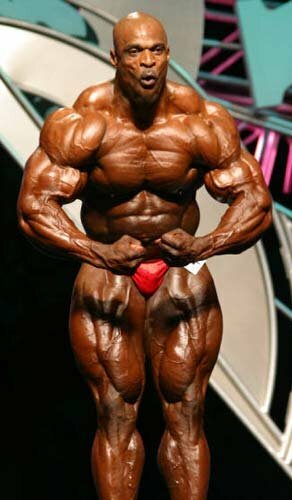 Why is it that a novice trainee or even an intermediate bodybuilder overtrains when following a pro's routine? All things being equal it is because the advanced athlete or pros nervous system capacity for work is much higher than the aspiring trainees. The professional has probably spent 10 years minimum increasing his bodies capacity for training. So, what does nervous system training involve? Well specifically with the beginner, almost any type of training will work. This fact is one of the biggest reasons there is so much confusion in training modalities in the body building market. Typically, any training that you perform at first places demands that are so much higher than your regular nervous system output, some results inevitably occur. Unfortunately, most athletes have incorporated a great deal of bad habits in this early training, which ultimately spells failure down the road. For best results over the short and long term the beginner and intermediate trainee should incorporate training that increases the nervous systems capacity for training. So What Does This Nervous System Training Include? Nervous system training typically involves training specific exercises through specific planes and motions with an eye on frequency, volume, and exercise selection. In other words, what are typically called multi-joint exercises will be incorporated as the foundation of the training. These sort of multi-joint exercises. When system training, one should train groups of body parts together to maximize the overload for a specific area. In other words, you would train body parts such as chest, shoulders and triceps on one day; back, biceps on another day, and legs on another day. There are lots of different ways you can mix this up, depending on the amount of time you have available as well as how long you wish to work out and also at how fast you wish to progress. Another consideration when training the nervous system is that one has to pay particular attention on the frequency of training. Generally, you need to keep the frequency relatively high. That means hitting the body parts a minimum of twice a week. In some cases, you can go as high as three times a week; once again, depending on how much volume, how intensely a person is training, and the nutrition levels of the athlete. Of course, with nervous system training, one has to build up gradually. So in a very new athlete, nervous system training might incorporate whole body training only three times per week. As a person progresses and more volume can be handled, the body parts are typically split up. On the three-day program, it would be maybe full body workouts; on a four-day, it would be maybe upper body and lower body. Afterwards, you would go to maybe a five or even six-day routine for the serious athlete. This allows a significantly higher frequency and also the ability to bomb body parts over and over again with varying rep ranges. The other aspect of building a symmetrical physique to look at is individualized body part training. Size of course is not everything; especially in the bodybuilding world. One wants to have the physique look aesthetically pleasing as well as developing large muscles. So in body part training, the exercise selection becomes more isolated. Generally there is more volume of sets in a body part session and the body parts are trained less frequency. To sum it up, you do more exercises, more volume in isolating particular body parts. Typically at this more advanced stage, a person is looking to sculpt the physique, work on specific weak points, to balance the physique and to create a more symmetrical look. Also, this increases the separation and general appearance of each of the muscle groups. In body part training, typically the frequency that you hit a body part is much less than you would on nervous system training. So a body part might only get hit once a week, but that one session would be extremely intense, overloading that muscle in every possible manner and then moving on to the next body part on the following day. Typically in body part training, you would cycle more exercises through a rotation of maybe three, four or five weeks, going back and forth so that maximal development of every aspect of the physique is achieved. Now in order to create balanced growth as well as size, one must alternate back and forth between the nervous system training and body part training. This is so that a person can achieve maximal growth as well as minimizing any detriments to the physique. Always, you have body parts that are growing better than others and so the isolation body part training can allow you to re-evaluate your weak points and overcome these inherent weaknesses in your physique. By doing so, we build not only a large body but also a symmetrical body. "How do I know when and where to switch between nervous system training and body part training? " There is no set rule on this however; one must look at it from this point; typically, the more inexperienced a trainee is, the more time they need to spend on nervous system training. Most trainees will benefit from two or three years of primarily nervous system training. So for example, one might spend three to six months just on nervous system training alone and briefly switch to a body part training for maybe 12 weeks before going back to another nervous system training routine. You would repeat this for a year or so, and then gradually working more body part training sessions in with the nervous system training. Another thing to consider is during nervous system training, calorie restrictions are definitely not recommended. An overload of nutrients and calories is required in order to maximize growth. Often times during nervous system, we are not so much concerned with the finer aspects of physiques or physique building. Therefore, you pile in the calories to keep as much anabolic activity occurring so that the maximum amount of growth is achieved. You strip down the layer of body fat that has been built to reveal what is really muscle. Most people overestimate how much muscle they have and underestimate how much fat and water they have on their physique. At this stage in the athlete's career it is beneficial that a low calorie regimen be followed at least for 12-20 weeks per year. By doing this frequently, it allows an individual to see the imbalances in physiques and correct them. The other aspect is it also helps the athlete to lower the metabolic step point; therefore, the individual in the next nervous system training will not have to consume as much food as he/she would if were continually staying on the nervous system training protocol. This of course arrives at the next aspect of the training equation. Whether training to failure or not training to failure. Unfortunately, there are a lot of myths about the whole failure and intensity aspect of training. Article after article bombards the beginning and advanced trainee alike about the importance of training to failure. People have thought that if they do not train to failure, they are not training intense enough or that they are some kind of wimp. Of course this type of mentality has nothing to do with science and as a matter of fact, will almost guarantee that the athlete reach a stagnation point. First off, when an individual is training naturally, the model of training is significantly different than the athlete who is using drugs. Most articles are written about pro-athletes or top amateurs who are using an incredible amount of drugs and therefore, really distort the science behind training. Because of this massive use of drugs, they endocrine systems operate completely different than that of the natural trainee and they are able to recover from mega high intensity training sessions. Unfortunately over time, this endocrine system overload creates an eventual catabolic condition. If you check out any of the pros after their career, you can see how much muscle they actually lose. It is quite shocking. Often times, because of this lop-sided aspect of the endocrine system overload, the athletes career is stopped short due to disease. I cannot tell you how many bodybuilders careers have been ended prematurely due to massive influx of drugs which eventually led to some system failure. So once again, going back to the failure question; a person should train their exercises so that the last rep on every set is challenging, but it is not an all out effort. Now in order to get the intensity up volume is the key. So lots of sets for lots of reps is far more efficient and effective than short training sessions with max intensity. The scientific term of course is work out efficiency, but really the scientific term is not important. The second aspect that needs to be addressed here is destroying the one hour workout myth. Once again, magazines and articles perpetuate this idea that the 45 minutes to one hour is all the time a person needs to build big muscles. This of course borders on ridiculousness. If one looks at, for example in the real world, an athlete such as an Olympic speed skater, these athletes perform incredibly high amounts of volume and incredible high amounts of frequency. Not only that, their time under tension far exceeds what most body builders workouts do. One other factor is speed skaters are performing an extensive amount of overload each day and very seldom does that athlete go to failure. Yet, look at the results. Speed skaters have some of the most largely developed legs in the entire world. Right there is a real world example that indicates that failure is not required and that training a few hours a week to achieve maximum development is a myth. I have yet to see any athlete that has trained a few hours and matched the legs of the world's top speed skaters. Once again here is a real world example that goes back to natural training versus drug usage. Not exceeding the endocrine systems capacity to recover is critical in natural training. This is easier achieved if you train lots of sets and quite frequently. 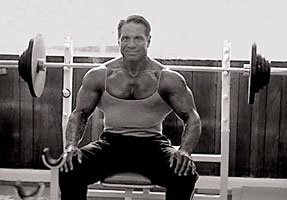 Bill Pearl, one of the greatest bodybuilding champions of all time, was a big believer in this principle and he reached a weight of 242 pounds at a height of 5' 10". Keep in mind that Bill Pearl never used any drugs to build his physique. An even more impressive consideration is that his physique was built in a time where the emphasis was not on the legs. In actuality, Bill probably had a 265 pound physique if you accounted for the lack of leg development that was in vogue during the late 60's and early 70's. So once again for maximum results, a person needs to destroy the one-hour workout myth. Now, in the optimal situation, of course the individual would cycle between the two systems for maximal growth. So let us review the key points to get you on track and in the growth zone. To maximize the growth, you need to go to nervous system training, high volume, exercise-specific techniques that involve body parts grouped together. Body part training is going to be around two to three times per week. Volume is going to be high and never train to failure. Also, there is going to be a massive amount of nutrient factors and calories. Body part training is more isolated; it tends go by large amounts of volume and less frequency. Most people say that best results occur with training each body part one day per week in a 5 day or 6 day split. Low calorie dieting is best performed during body part training to strip away fat to discover the weaknesses in the individual's physique. Duration of this cycle should be 12-20 weeks. This training cycle is most often used for contest preparation and is too be combined with cardio sessions to maximize definition. Of course there is a lot more details to training such as rep ranges, exercise selection, body part groupings, training splits etc. First the individual needs to grasp the big picture. This is where an expert can save the athlete years of frustration. No athlete has got to the top of their sport without professional expert advice. Don't kid yourself into thinking that you can read a magazine or a bodybuilding book and then know everything to build a great body. Hire a top trainer today that has experience in building top quality physiques and practices what he/she preaches. 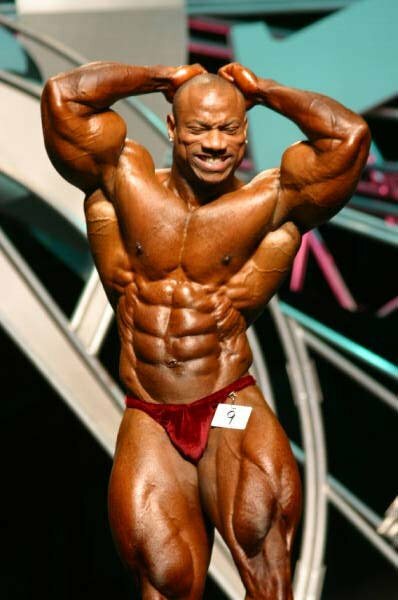 Wade McNutt is a Natural National Bodybuilding Champion and an IFBB Mr. Universe World Championships competitor.